Chinese Martial Arts and the Olympics: Wushu or Bust? 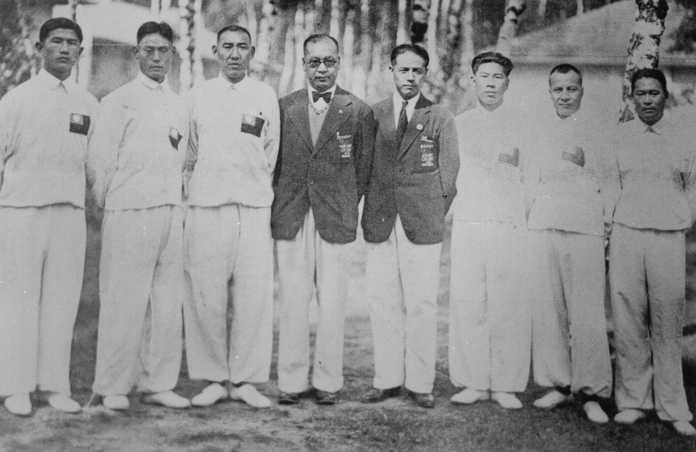 China sent a group of martial artists to the 1936 Olympic Games who provided an exhibition of their then rarely seen arts on the global stage. western boxing, wrestling, archery and fencing. However, as the Olympic movement spread around the globe in the post-WWII period a couple of Asian martial arts have also been added, the Japanese sport of Judo (first introduced in 1964, then made a regular reoccurring event with the 1972 games I believe) and the Korean art of Tae Kwon Do (introduced as a demonstration sport in 1992 and made an official event after that). Olympic status undeniably helps to professionalize and spread a sport. Resources are set aside for training and tournaments that might not otherwise be available. But there is something more. The games also seem to function as a seal of approval, or acceptance, by the international community. If a sport has gained a wide enough following that a truly global competition can be held, it seems to say something about the legitimacy of the society and the tradition of physical culture that gave rise to it. In that respect it is instructive to note that the overwhelming majority of Olympic sports are Western and European in origin and even such universal activities as running really far or really fast are presented in a western cultural context (e.g., the marathon, commemorating the Greek Battle of Marathon). For certain Chinese intellectuals the assertion that the most valuable “global” sporting traditions and values are really all western in origin is problematic. And China has made no secret of their ambition to prove their status as an up and coming global-power by dominating the medal count in the 2012 games. I think it might be an understatement to assert that China has a complex relationship with the Olympic movement. This interplay between identity, political ambition, and athletics is one of the things that makes the Olympics so interesting to political scientists such as myself. And it is one of the reasons that the inclusion of Judo and Tae Kwon Do, the national combative sports of Japan and Korea is so important. And notice what is not an Olympic sport this year, Wushu. Prior to the 2008 Olympic Games the Chinese Government and IOC delegation pushed hard for the inclusion of Wushu and they did not get it. In fact, many observers at the time thought that Wushu was snubbed. The Chinese were not even allowed to include it as an exhibition sport. 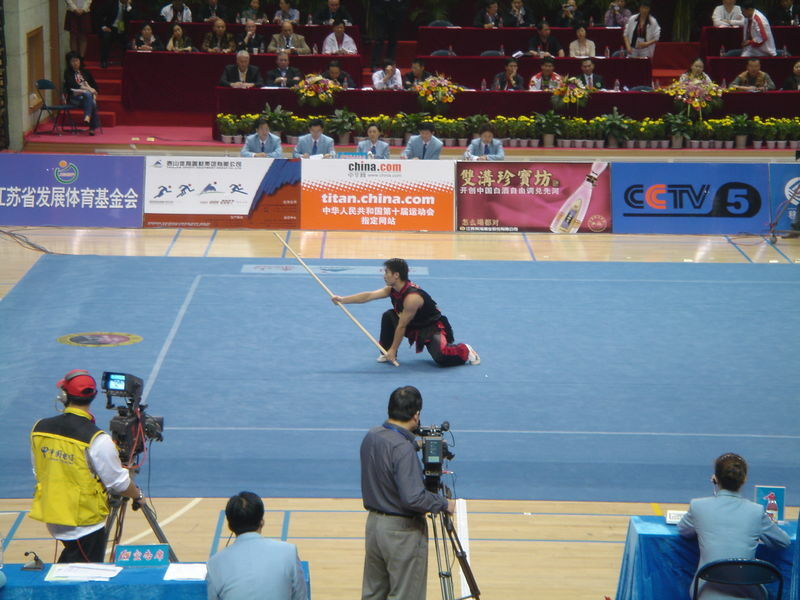 Instead special permission was given to hold a separate Wushu tournament in Beijing at the same time, but it was explicitly banned from using the Olympic logo. This rejection has been a matter of some consternation for Chinese officials and writers ever since. Apparently there were a number of problems with the Wushu bid. There were complaints about the subjective nature of the judging of the forms sections and the only states that could really field high level competitive teams were China (unsurprisingly), Russia (more surprising) and Hong Kong (which is to say China again). The single biggest barrier holding competition Wushu back just seems to be its lack of popularity outside of China. Lots of Chinese martial arts are popular outside of China, but the number of students who train in Wushu compared to Taiji or Wing Chun is really quite small. The folk arts have always been more popular in Europe and the Americas. In a sense this is not surprising. Judo and Tae Kwon Do did not succeed overnight. The Korean government used Tae Kwon Do as a vehicle for public diplomacy for decades before its big breakthrough. Judo has always aspired to be a universal art with the explicit goal of promoting peace. It was hands down the most popular martial arts in Asia, Europe and the American from the 1950s-1970s. In contrast even most practicing martial artists in the west aren’t all that familiar Wushu. So given that China can’t compete in Wushu you might expect that they would have thrown the massive weight of their official martial arts apparatus behind Judo and Tae Kwon Do right? After all, there are lots of Tae Kwon Do and Judo schools in China. And there are probably more people who aspire to do martial arts professionally in China than anywhere else in the world. You might assume that, but you would be wrong. China does have a very strong Women’s Judo team that took home a number of medals (most of them Gold) in 2008. In fact, the rumors are that they are going to dominate again this year. So if you want to see the best of Chinese martial artists at work in London, Women’s Judo is going to be the event to watch. But paradoxically the Mens Judo program and the entire Tae Kwon Do team are not receiving the same resources and emphasis. Only a hand full of individuals are competing in these events. In fact, while Women’s Judo may look good in the medal count, what you really need to do to better understand the situation is to compare the total size of all of the Chinese Martial Arts teams put together to say China’s fencing team and it quickly becomes evident how few resources are actually being put into promoting Olympic Judo and Tae Kwon Do. Who knows why this is the case, but it might be possible to offer some guesses. I wonder to what extent the Chinese Olympic community is simply keeping its powder dry, continuing to invest in their domestic Wushu program and waiting for the day when they can really dominate on the world stage. After problems with their judging and scoring in 2008 games Tae Kwon Do came in for criticism and there is currently discussion of eliminating a sport. Maybe we are about to see another round of Wushu promotion for the 2016 games? Wushu or bust?